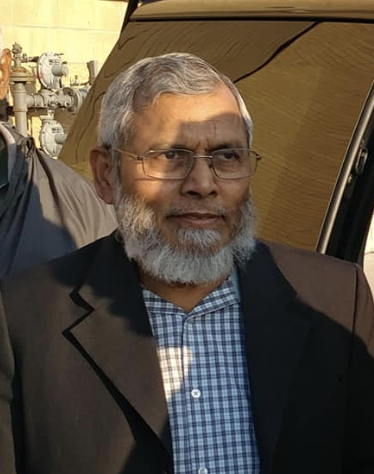 Dr. Emdad obtained his Bachelor’s Degree in Engineering in 1974 from the University Of Engineering & Tech, Dhaka, Bangladesh, and his Ph.D in Microprocessor Systems, Control And Networking in 1981 from the University Of Manchester Institute Of Science & Technology. Dr. Emdad was the Chairperson & Associate Professor of Computer Science at the University Of Bahrain from 1981 to 1996. Later on, he worked as a System Integration Engineer at Ericsson (Nortel) from 1999 until he retired in 2013. Soon after moving to Ottawa in the late 90s, Dr. Emdad Khan envisioned creating a honest, open & fair community of Muslims- a community that is diverse, but inclusive to those of different backgrounds and ethnicity. Others who shared his vision joined him in helping bring it to life. Years of persistent hard work followed, and eventually resulted in South Nepean Muslim Community we have today. Dr. Emdad served in the SNMC board of directors until March 2018 and is currently serving as the President of CBET. Everyone at SNMC, including the board of directors is thankful to him for his efforts and hard work.